Made from a high–tenacity Cordura ripstop nylon fabric, the Ultralight Dry Bag Multipack (5L, 10L, 25L) is both lightweight and durable. Siliconised coating on the outside of the fabric and PU coating on the inside, with fully taped seams will ensure your contents will stay perfectly dry. 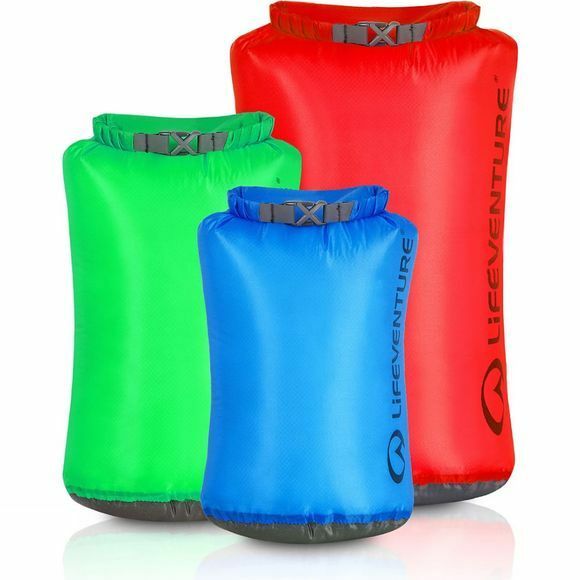 Lifeventure's 5L, 10L and 25L dry bag set suit any purpose and the translucent bright colours will help you separate and identify your gear with ease.